Are you searching for a dental office to care for the entire family? We warmly welcome patients of all ages and focus on patient education and prevention to keep your family smiling. Our dentists are passionate about dentistry and committed to caring for our patients. We offer comprehensive general and family dentistry as well as extras such as dental implants and Invisalign. 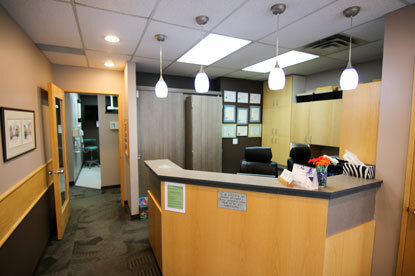 Find everything you need to get started at Avenida Dental Centre in one convenient location. Founded in 1990, Avenida Dental Centre has been helping patients maintain healthy, comfortable smiles for 28 years. Our dentists are committed to personalized dentistry and gentle treatment to make your experience a positive one. Welcome to Avenida Dental Centre, the boutique dental practice of Dr. Jayde Wiedemann, Dr. Colton Toy, Dr. Christine Holko, and Dr. Bob Huff. 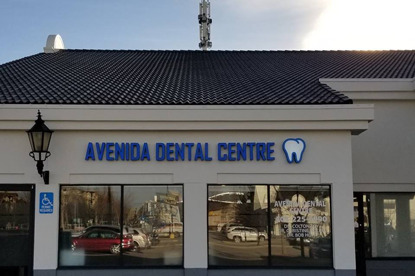 Avenida Dental Centre was founded 28 years ago and proudly serves the communities of Calgary, South Calgary, Lake Bonavista, Canyon Meadows, Willow Park, Southwood and the surrounding neighbourhoods. Our dentists care for patients of all ages – both children and adults alike – in our family-friendly dental office, keeping patient comfort and satisfaction as a constant priority. Our services include most of the dentistry that patients of all ages need to stay healthy. By beginning with a personalized preventive dentistry regimen, our aim to help patients keep their natural teeth and avoid dental disease. Tooth-coloured restorations and teeth replacement options repair and replace missing teeth, making it possible for patients to eat and speak comfortably. We even offer clear braces because a straight smile is often a healthier smile. Our dentists are here when you need us most and will treat most dental emergencies on the same day, whenever possible. If you experience toothache or trauma from a sports accident, getting in touch immediately will help us prepare for your visit and get you taken care of. 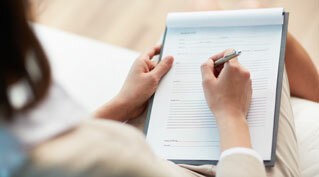 Our core values recognize that having all of the facts can impact your decisions regarding your smile. Our dentists and hygienists will not only describe any conditions and treatment options but also show you photos of your teeth with our intraoral camera so that you can see what they see. Whether you want to improve your oral health or change the appearance of your smile, you will find our dentists ready to listen eagerly and help you achieve what is most important to you. Your dentistry is always up to you. 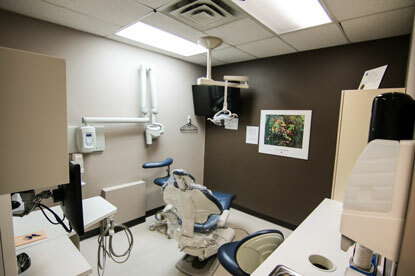 While it is not required for any dentist to adhere to the fee guide put forth by the Alberta Dental Association & College, in 2018, Avenida Dental Centre committed to following the fee schedule to make it more convenient for patients to seek treatment without wondering about the cost of their dentistry. At Avenida Dental Centre, we offer you the option of direct billing. We contact your insurance provider, so you don’t have to worry about paying for the dental costs up front. Our team is ready to answer any questions you have about direct billing and the details of your individual policy. We hope that this enables you to seek the dentistry necessary to keep your family healthy, comfortable and smiling. Is it time for your little one’s first dental visit or time for you to have your next professional cleaning? Give us a call, and our friendly team will help you get started. Welcome to Avenida Dental Centre!